Facebook is felt by some to have the potential to dominate SMB online advertising because of its incredibly high organic usage. But the challenge to drive even more SMB advertisers remains. The company currently reports that it has 40 million SMBs with Facebook pages around the world. Two million SMBs are paid advertisers, or five percent of its SMB page holders. Today, Facebook unveiled several new small business support programs that it hopes will boost its SMB conversion rates. These include a series of local SMB events, the launch of self serve tools and chat and email support. 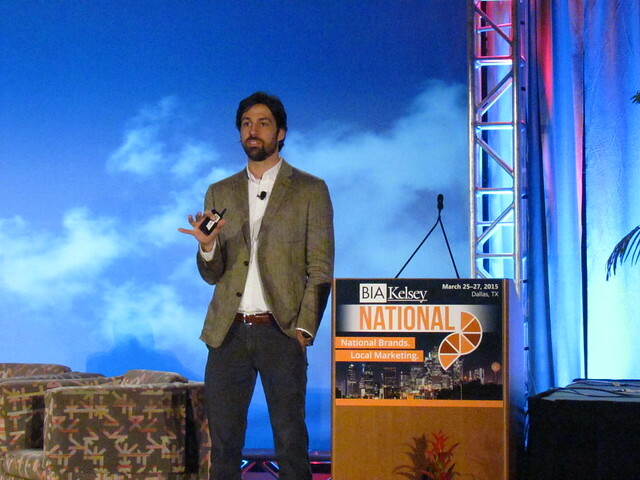 We got a hint of what was to come during the March 25 keynote by Facebook Director of Small Business Jon Czaja at BIA/Kelsey NATIONAL in Dallas. During his keynote, Czaja emphasized that Facebook can lift sales results for SMBs by a high percentage if it is added to traditional media ad campaigns. He also asserted that Facebook does well on its own. He noted that Facebook’s accuracy for narrowly targeted online campaigns is 89 percent, or more than twice as high as the industry’s 38 percent average. Advertising on Facebook provides $8 back for every dollar invested, and a 12x boost in conversion, Czaja suggested.